Spring is in the air, a season full of promise and the renewal of life. With it comes baseball, April showers, blooming flowers, and fresh news of the next big thing out of Hannover. Earlier today, vendors across the globe gave us our first look at the M600 Violet-White, a light pastel purple or lilac colored model that is sure to fit right in at this time of the year. The new model’s appearance is very much in keeping with past releases which include the M600 Turquoise-White (2018), the M605 White-Transparent (2017), the M600 Pink (2015), and the M600 Tortoiseshell White (2012). 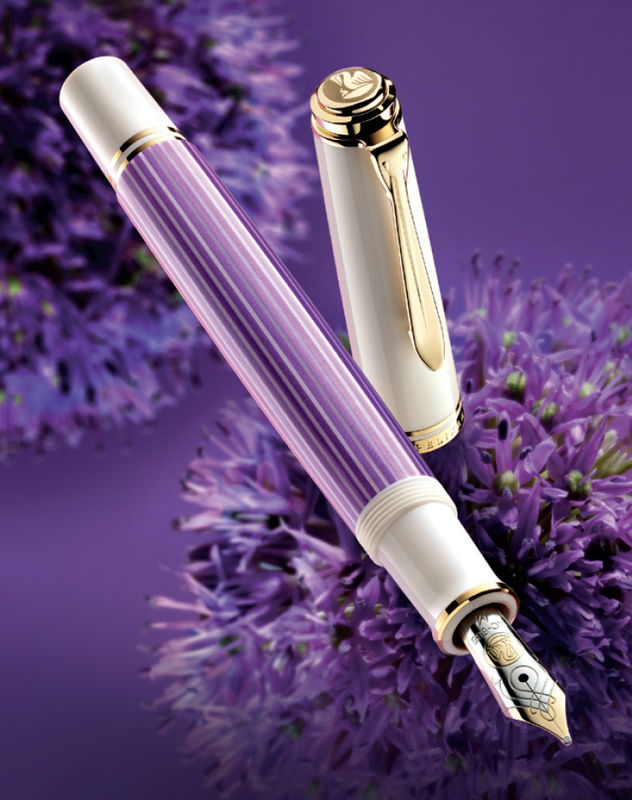 There has been some uncertainty and delays surrounding Pelikan’s launch dates this year but, for now at least, you can anticipate the Violet-White hitting store shelves sometime in May 2019. 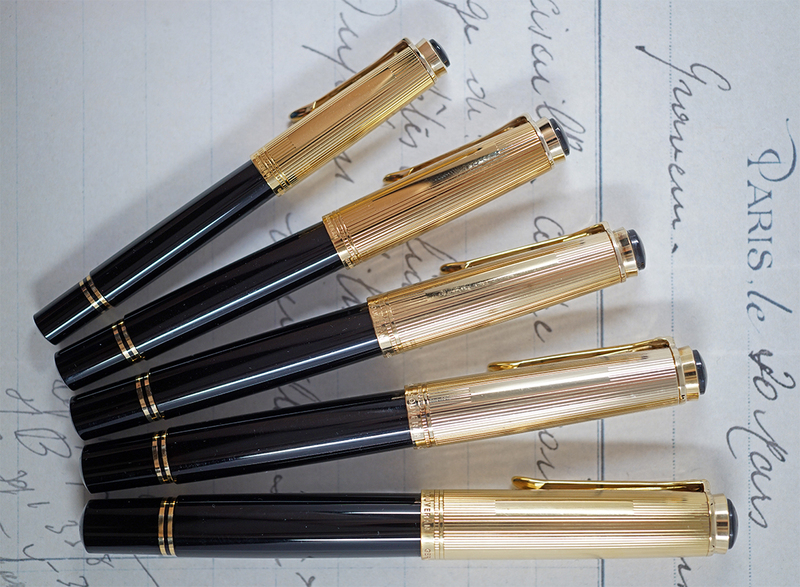 The Pelikan 400 of the 1950s and 60s is perhaps one of the most iconic and successful pens ever put out by the company over its 90 year history of fountain pen production. Perhaps it is telling that Pelikan chose this model to rekindle its fountain pen production and turn the company’s fortune around in 1982 with a reincarnation of the 400 dubbed the M400 Souverän. We will focus squarely on the original 400 for the purposes of this article which introduces the final pen in this three-part series. If you haven’t already, be sure to check out my in-depth look at both the 300 and the 140 which were in production alongside the 400. 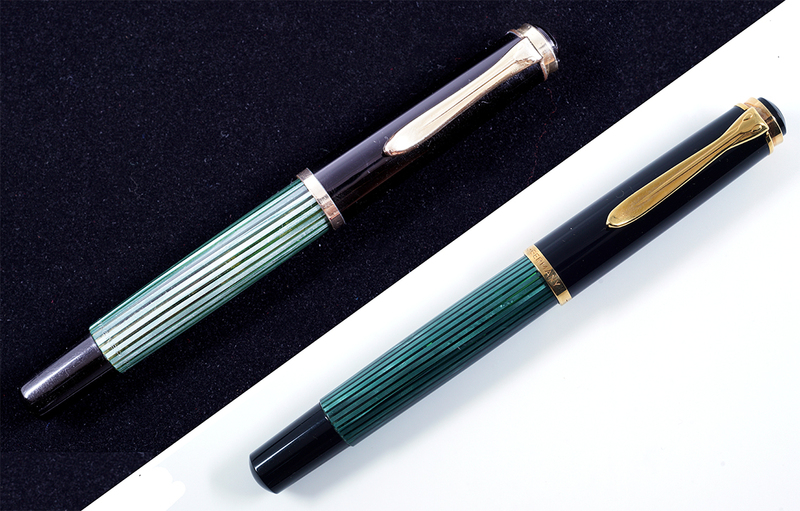 Glass negatives in the Pelikan archives indicate that this model was first conceived in 1939 and likely had World War II to thank for its eleven years on the drawing board. 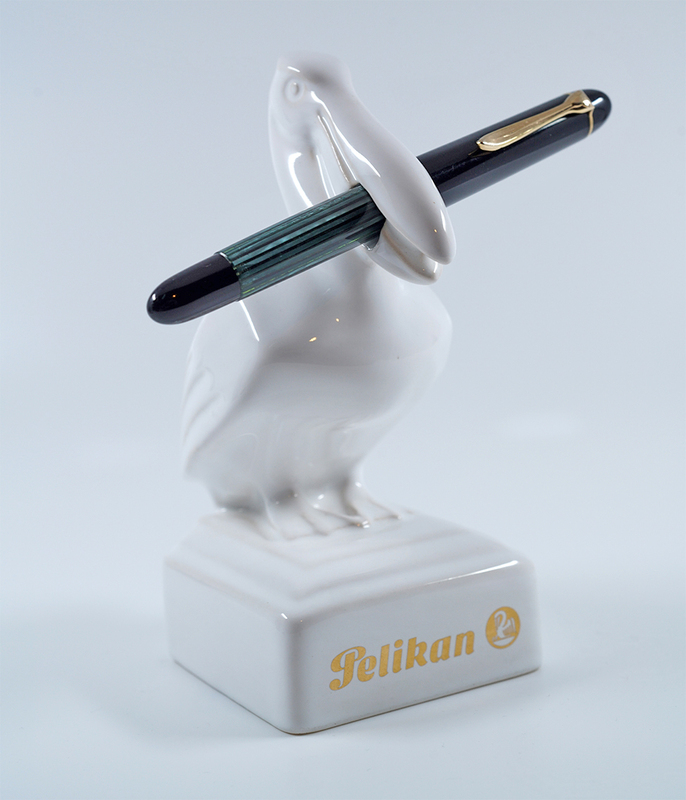 Launched on May 25, 1950, the Pelikan 400 was produced for a period of fifteen years (not including a brief resurrection in the 1970s) but underwent several modifications in that time. With each major revision, the suffix “N” was added to the model number. This stood for “neu,” the German word for new, and was a designation only meant to be used internally. This nomenclature was utilized for the 400 as well as several other similarly styled product lines and is the reason we have the 400, 400N, and 400NN. Of course, when these pens were being marketed, they were all simply called the 400 which is why you won’t find the “N” designation in any price list. Read on to learn more about just what changes came with each revision and how to identify them. As you read through, be sure to click on the photos found within to enlarge them for further study. My recent exploration of the less commonly encountered Pelikan 300 gave me occasion to pull my 140 and 400 out of the pen cabinet. 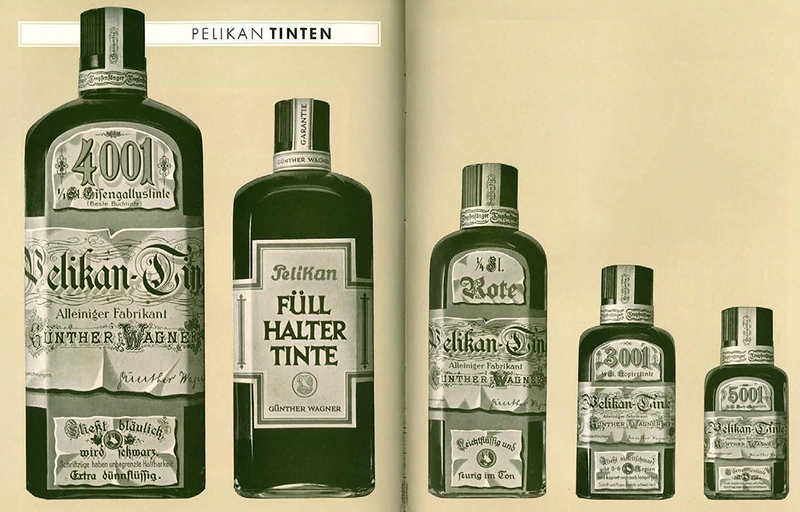 Looking over those two models made me realize that both were equally deserving of their own post so consider this the second installment of a three-part series looking at some of Pelikan’s finest work from the 1950s and 60s. Today we will focus on the 140, the direct successor to the Ibis 130 (1949-54). First introduced in 1952, the 140 came in a plethora of colors, many of which are not often seen today. 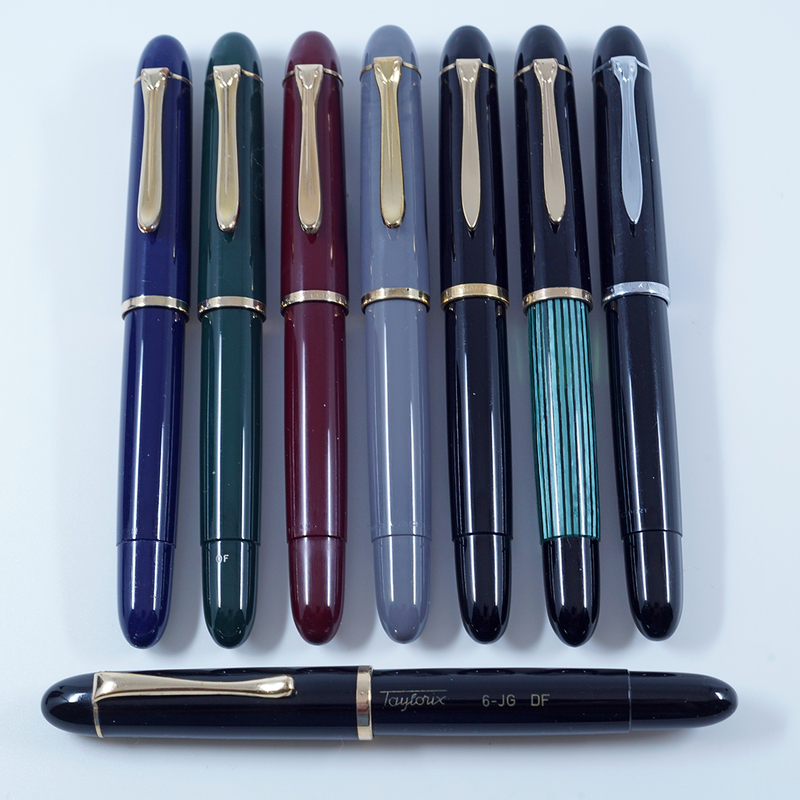 The 140 was also a platform adapted to unique purposes and sold by other manufacturers without Pelikan’s branding so there is a lot of variety to be found out there. Production officially ran from April of 1952 through July of 1965 and many small changes occurred to the line over that time, particularly early on in the run. These changes can help to date earlier pens and I will endeavor to highlight most of them below. Read on to learn all about this iconic model. In Greek mythology, the Chimera was a fire-breathing female monster with a lion’s head, a goat’s body, and a serpent’s tail. She was the sibling of Cerberus the three-headed hound of Hades and the Hydra, a serpentine water monster. In ancient times, merely sighting the Chimera was an omen for disaster. Today, we use the term to refer to anything made of disparate parts. 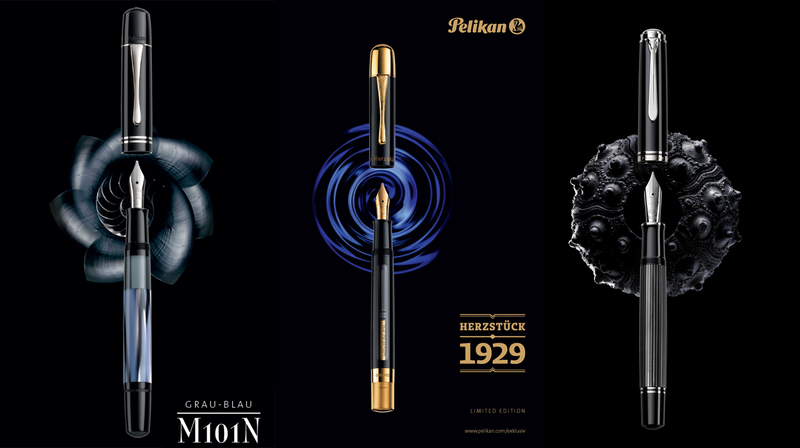 Pelikan produced a chimera of sorts back in the 1950s though nothing as monstrous as the beast of ancient mythology. 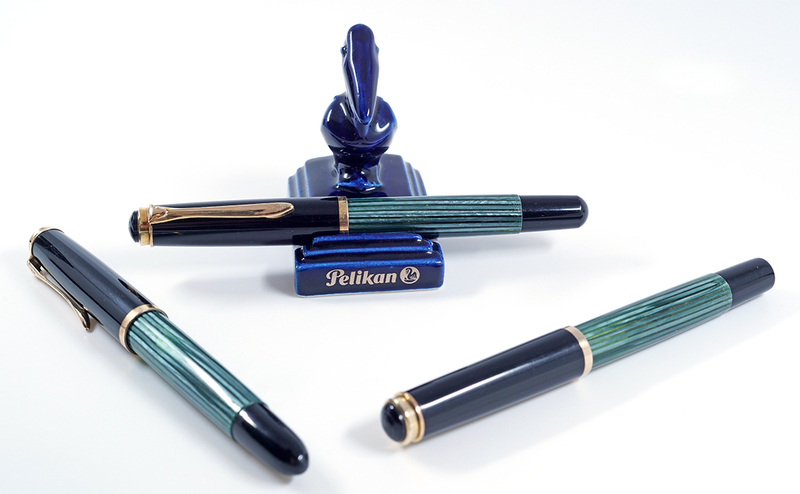 The pen that I’m alluding to is the Pelikan 300 which holds a unique spot in the company’s catalog. It was made for export only and positioned in the market between the 140 and 400. It enjoyed a production run of just five years spanning June of 1953 through November of 1957. As such, these are not commonly encountered on the secondary market today. The 300 came in just two colors, a black/green striped version and an all black striped model though an all burgundy variant, possibly a prototype, is known to exist as well. When discussing the 300, it is important to keep in mind that it has no relation to the M300 Souverän which didn’t debut until 1998. Due to a paucity of information out there, I thought that the 300 might be well suited to a post of its own.